We received the unusual and challenging commission of designing the structural steel support for a 6-metre high upside down elephant sculpture. 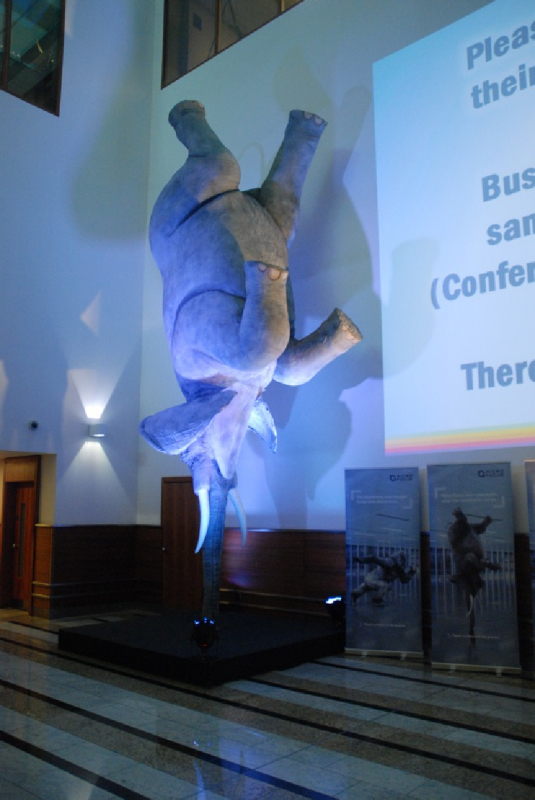 This was to be temporarily placed as an exhibition in a conference room in a hotel near London. 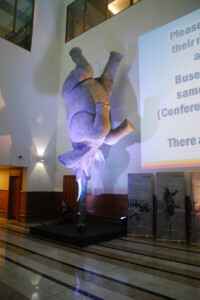 The elephant sculpture, including its base support, was a temporary structure so needed to be readily potable and relatively easy to erect and dismantle. 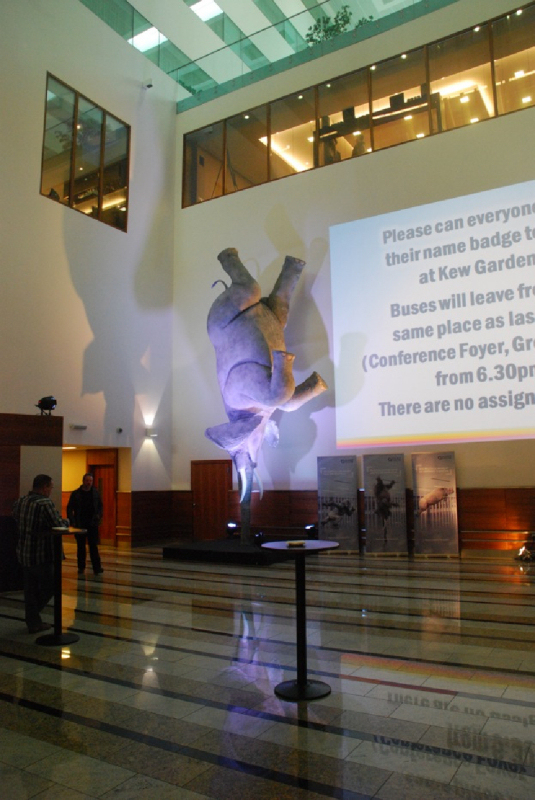 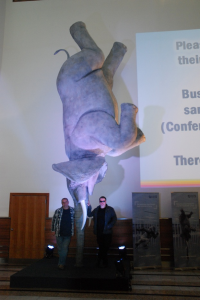 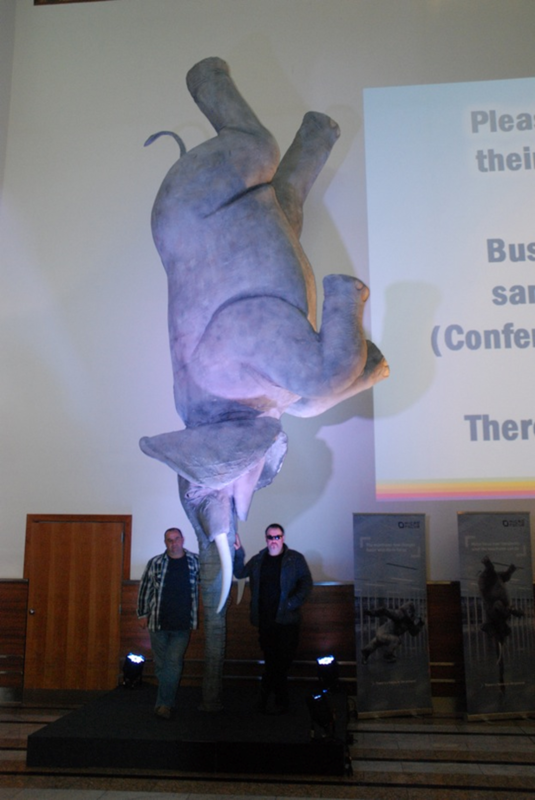 One of the structural engineering problems that needed to be overcome with this project was the base of the elephant. This needed to be both unobtrusive and strong enough to resist vertical and overturning loads, yet could not be fixed into the floor.